But it turns out that I was wrong. I was not a Pinterest guru. 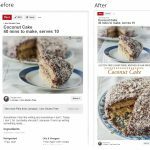 My new plan with Pinterest this month was to approach it from more of a business standpoint and see if I couldn’t grow my blog traffic from Pinterest. 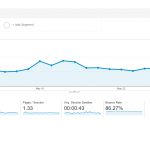 Well, I’ve grown my blog traffic. I’ve grown the number of repins I get by TEN TIMES and nearly doubled my followers and blog traffic. And I started seeing these results after just two days of effort. 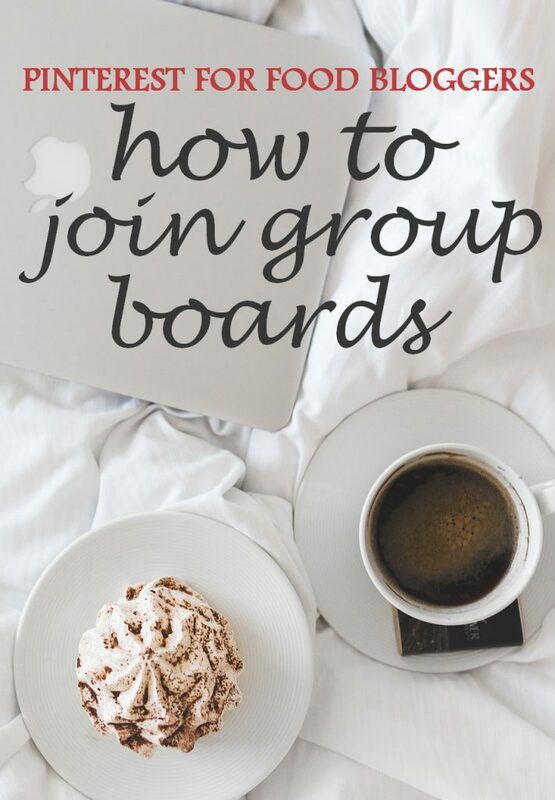 So here it is: How to join group boards and increase your Pinterest repins by 1000% in one month (or less if you’re awesome). 1. The first thing I did was joined some group boards. Seriously, before this I thought group boards were pretty lame because they are so BIG and sometimes so impersonal and it didn’t seem that I’d get that much more traffic out of joining group boards. I was wrong. Joining a couple group boards was pretty much the number one thing that improved my Pinterest traffic this month. 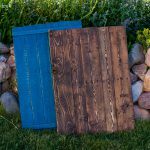 So, the first step to joining these group boards is to find them. To do that, I discovered this really awesome tool called PinGroupie. 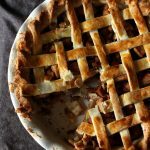 It’s basically a list of all the group boards ever, and to find some to join, just type in a keyword that is part of your niche (for me, I used the keywords gluten free and paleo). I found that the most effective way to filter my results was to order by repins. This way I could pick out the boards with the highest average number of repins but the lowest number of contributors and pins. This method just worked best for me, but you might find that a different sort works better for you. 1. Follow the board. You HAVE to do this or else they can’t invite you. 2. Read the rules. See if this board will work for your niche. See if they are accepting contributors. 3. Check out the situation. Scroll through the board a little bit, looking at what kinds of pins are added and how many repins and such these pins get. 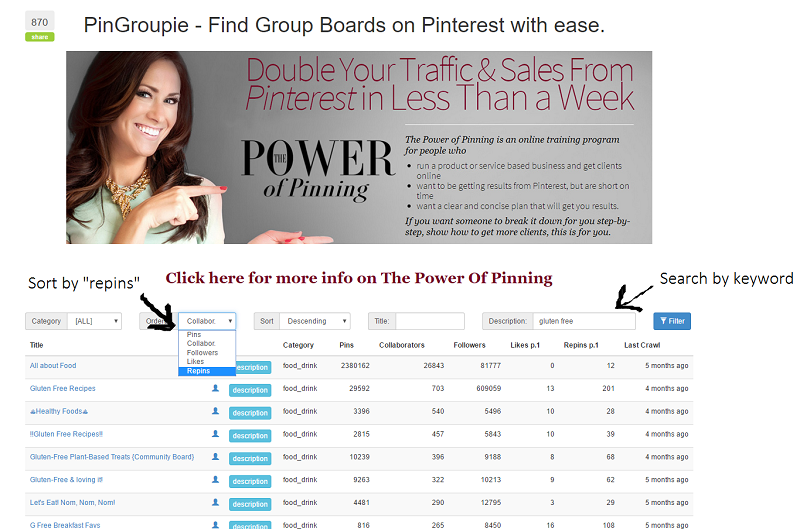 See if it’s a high quality board with a lot of engagement and pins that match your niche. If you think it might be a good fit, move on to the next step. Note: it’s hard to really tell how many repins a pin actually gets just from that board because pinterest gives the number of repins ever on that pin. So if a pin has been circling pinterest for months, it might say on the pin that it has 2,000 repins. Just be aware that those 2,000 repins didn’t just come from that board. In fact, to get a realistic idea of how many repins a pin might get, you should actually be looking at the pins with the LOWEST number of repins. 4. Find the owner of the board. This will be the first person in the list of contributors at the top of the board. Click on them, check out their profile, learn a little bit about them (their name, for starters, unless if it’s a company or brand). I’ve found that it’s usually best to ask the owner directly to add you to the board, but if you know one of the board’s contributors, by all means ask them to add you. 5. Now comment on one of their pins. Unless if they specify in the board description how to become a contributor (such as emailing them), commenting on a pin is usually the best course. If you can find a pin of theirs on the group board, great. If you can’t, comment on one of their other pins on another board. Also, depending on what pin I’m commenting on, I’ll sometimes put in something about the pin at the end. 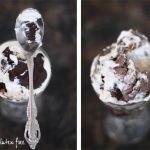 Like, maybe, Meanwhile, I am so totally going to make this recipe for chocolate zucchini cake! Looks amazing! But if you’re not actually going to make the recipe and it doesn’t actually look amazing, don’t say anything at all. People can spot a kiss-up a mile away. 7. So, yeah. The whole little note is kinda something you’ve got to go by feel on. It really depends on who the person is. Either way, I try to make it personal, informal, polite, and short. 8. Then you wait. In a few days, you might get an invite to the board. You might get nothing at all, and that’s okay. I commented on a lot of pins and looked at a lot of potential boards to join. Not every one of them worked out, but the ones that did have been awesome. 1. No more than three pins a day, whether this is in the rules on the board or not. Nobody likes it when you flood their board with pins, and nobody likes it when you fill their newsfeed either. 3. Share other people’s pins on the board. You don’t have to do this all day long. Just now and then share someone else’s pin onto one of your other boards. Give back a little bit. 4. Pin good, high-quality pins. This kinda goes without saying, but here I am saying it anyway. You need to add something to the board, so make sure that each pin you add links to the correct source, is helpful/informative, is beautiful, and fits in with the board’s theme. 5. Share other people’s stuff. 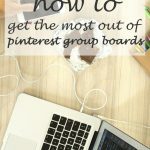 Don’t just pin straight from your blog onto the group board. 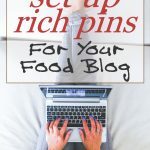 Pin things you like from other blogs around the web. Anyway, I hope you found this article helpful! 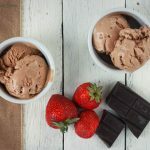 Now go and join group boards and watch for part two of this 3-part pinning series (how to make the most of those group boards)!